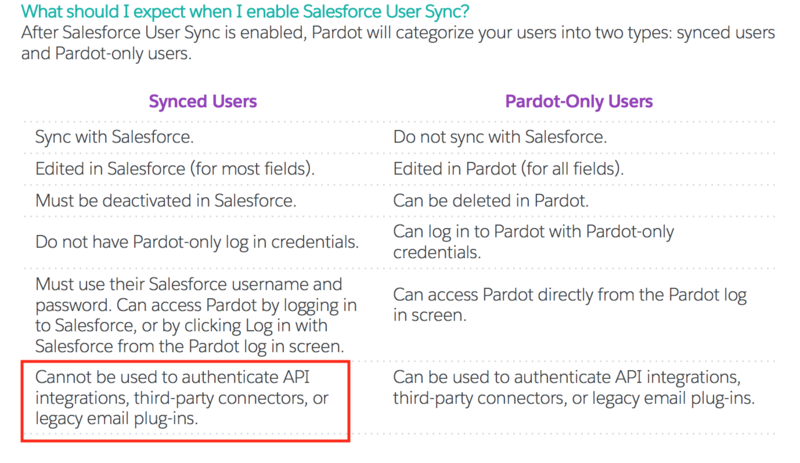 What Pardot Triggers and Actions are Supported? New Prospect - Triggers when a new Prospect is synced to Pardot. 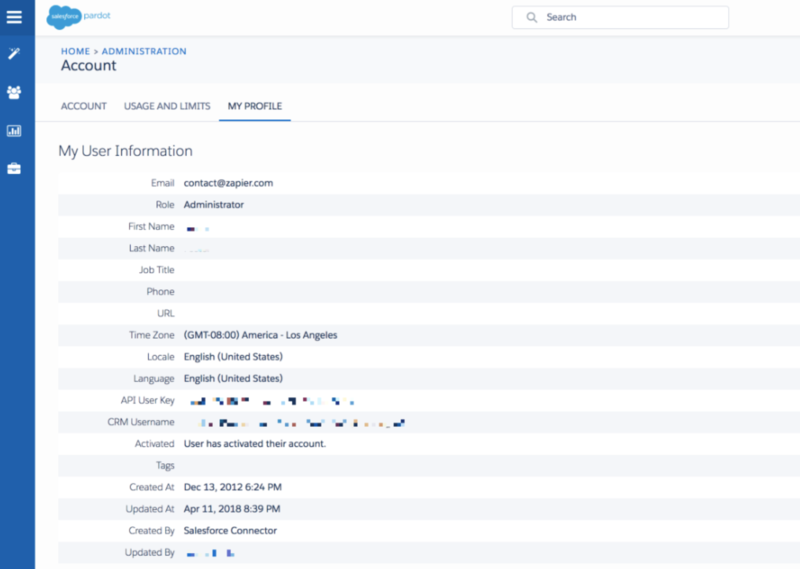 Create Prospect - Creates a new Prospect record within Pardot. Update Prospect - Updates an existing prospect. Send List Email - Creates and sends a list email. Add Prospect to List - Adds an existing prospect to a list. 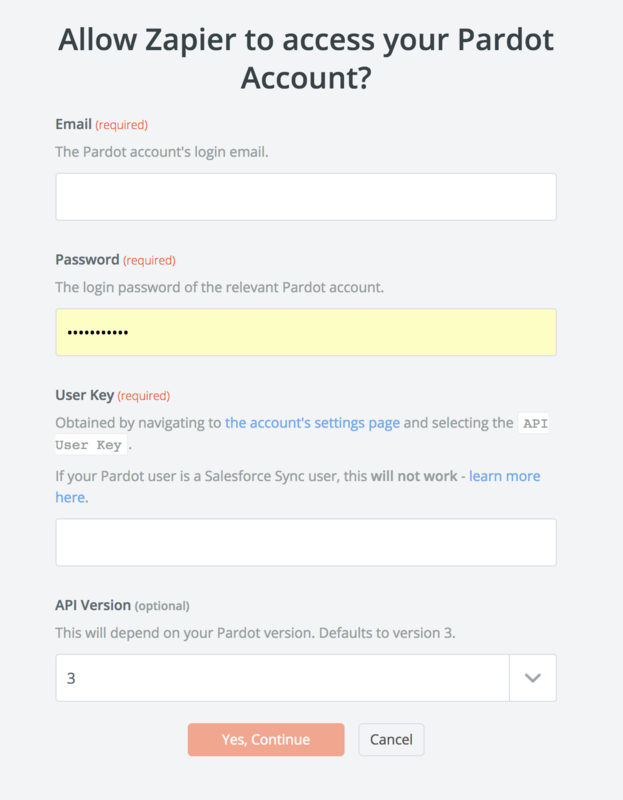 When you start creating a Pardot, you will be asked to connect your Pardot account. Next, you'll be asked to enter your Pardot Email, Password and API key. 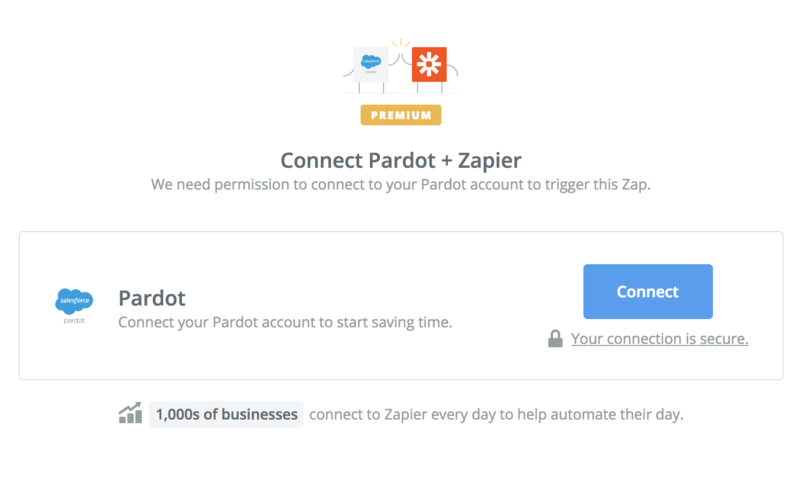 If all steps were successful your Pardot account will now be successfully connected. 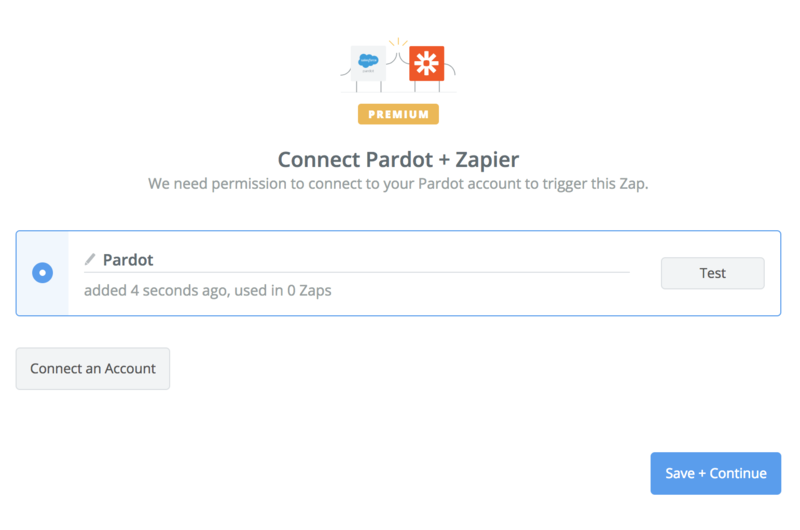 You will need to create a separate user account within your Pardot system and use those credentials in order to connect your Zaps. Be sure you give that separate account sufficient permissions. The ID would be the number at the end, so in this example, you'd want to enter "811" in the Campaign ID field. Custom fields using Radio Button, Checkbox, Dropdown or Multi-Select type are not supported by Pardot's API, so they are not available in Pardot actions at this time. You'll need to upgrade your user's role to Admin, then reconnect the account to Zapier and try again.